This is a pretty, pink, shabby chic rose clipart image of a single rose flower on a long stem with lots of lovely, green leaves. 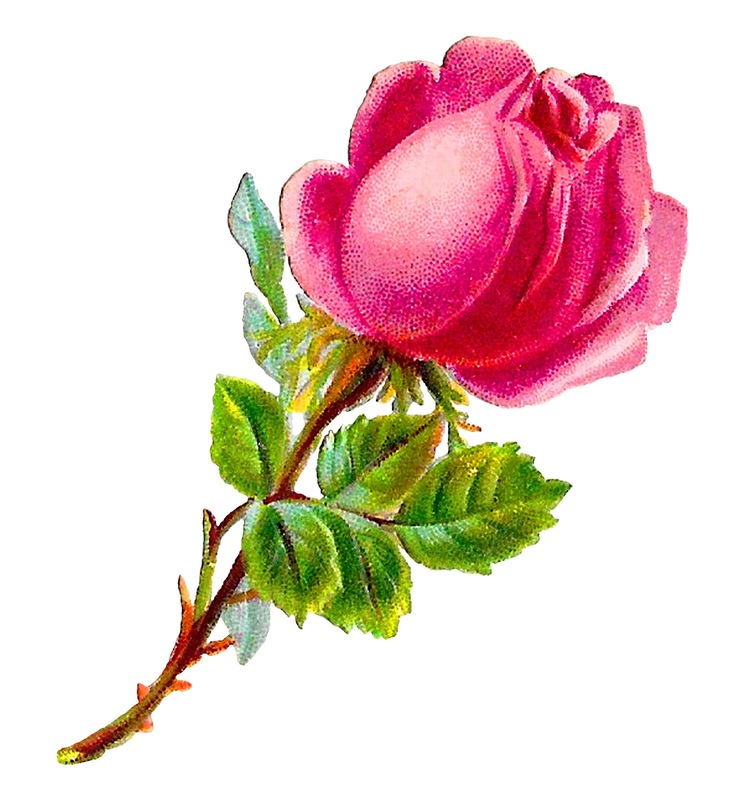 This pink rose download is vibrant and bright and will add lots of charm to any of your shabby chic projects. 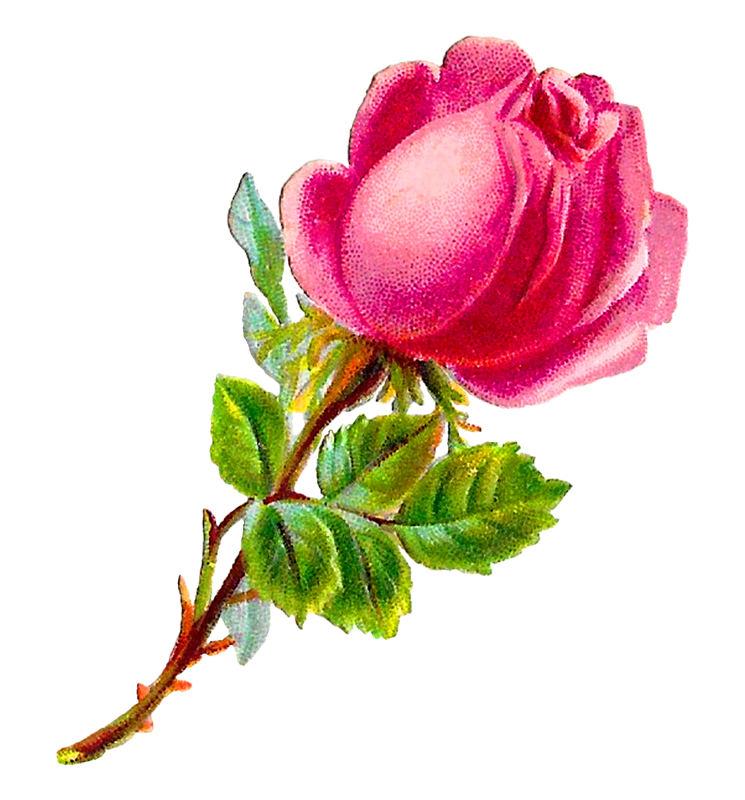 Both white and pink rose clipart make the best floral art images for handmade projects.